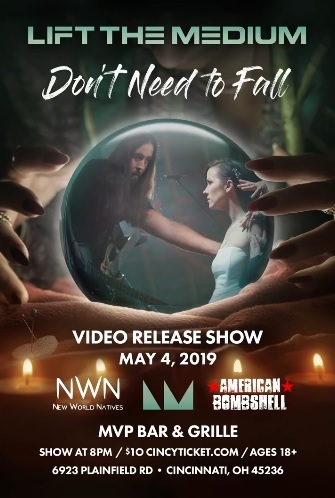 Lift the Medium Video Release Show for 'Don't need to fall' at MVP Bar & Grille on Saturday May 4th, joined by New World Natives and American Bombshell is another can't miss show from the 4 man electrifying band from Cincinnati. Doors open at 7pm. VIP experience available.